In addition to lots of beach days, we have also been gallivanting around the island shopping farmer’s markets and boutiques and visiting various historical and cultural sights. And of course, we’ve got to look good doing it! My shopping and sightseeing essentials: cute sunnies, themed iPhone case (I mean it’s Barbados! 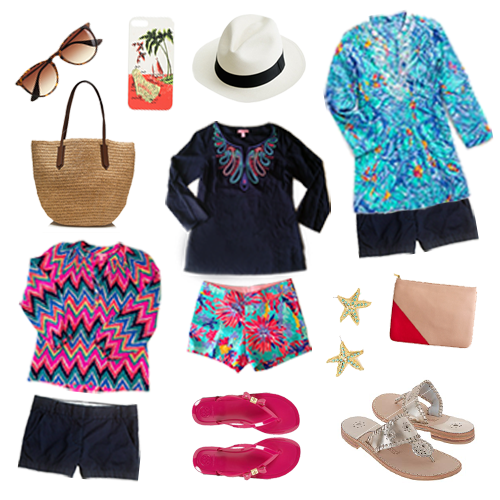 ), Panama hat, shorts and tunics (these are my all-time favorite shorts, and you can never go wrong with an Elsa top, or Lilly tunic), straw tote, jelly sandals, Jack Rogers, starfish earrings, and a small clutch (for essentials).